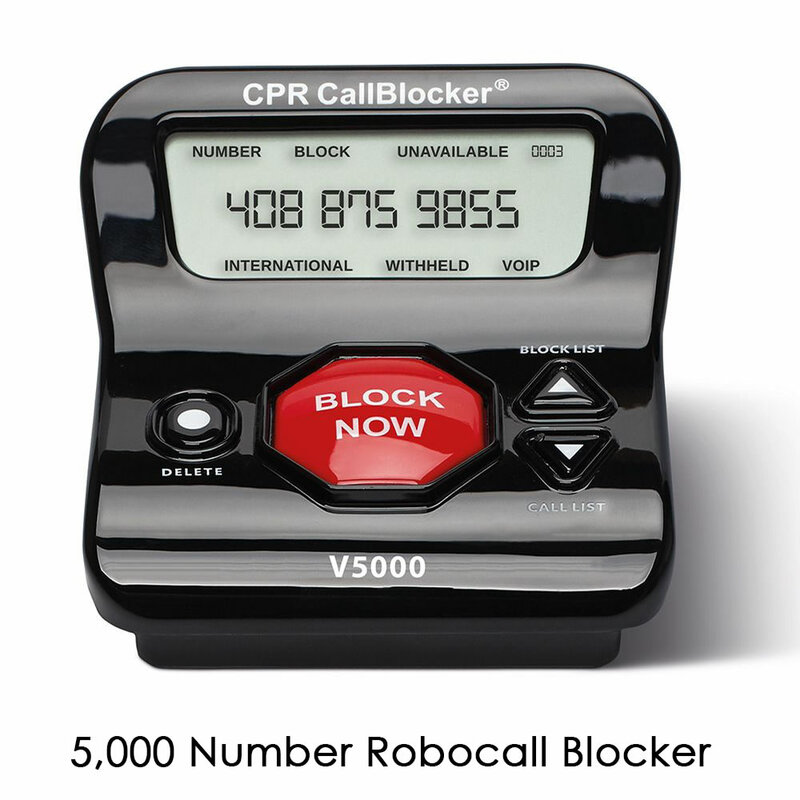 This is the device that blocks nuisance calls and prevents your phone from even ringing. 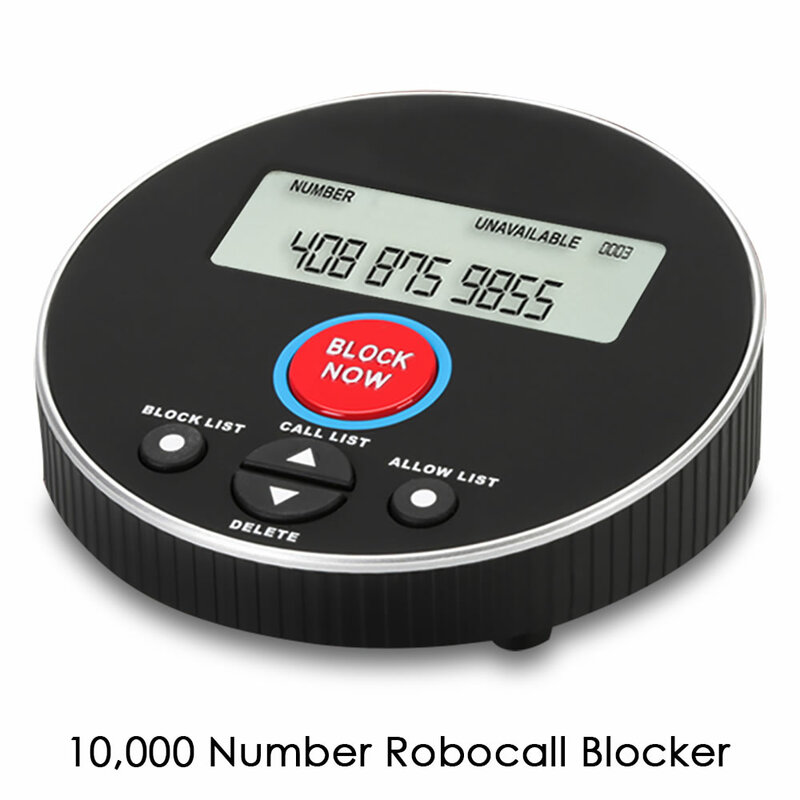 It connects to any landline and is pre-installed with a database of numbers of the most notorious telemarketers and spam callers. 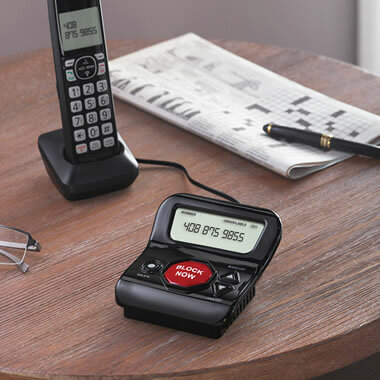 If a nuisance caller not on the list gets through, the device has a red “Block Now” button that automatically ends the call and adds the number to its database of blocked callers. It has a 3" display, stores additional numbers, and lets you edit the list in the event of an accidental block. Requires caller ID subscription. 10,000 Number Database. Stores 2,000 additional numbers. With "allow" mode that only accepts calls from the numbers you specify. 5" Diam. x 1 3/4" H.